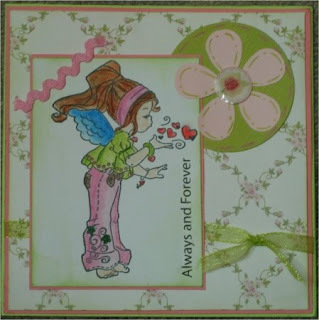 At WoJ Challenge Blog Valentins-Day is theme of the week and I have worked this little card for the challenge. wonderfu card and nice stamp !! !